I recently did an interview for the UK’s Rad Dad Collective. Editor Wayne Juffs wrote the article which can be found online here: http://theraddadcollective.blogspot.co.uk/2013/01/off-wall.html. 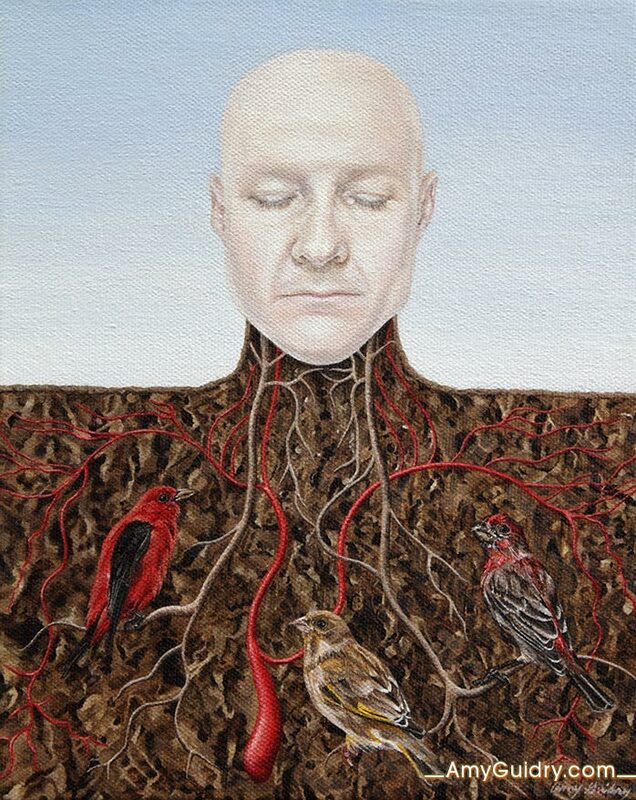 My latest painting in my In Our Veins series is now online– Anthropomorphism and it is an acrylic on canvas, 6″ x 6.” As seen throughout the series, animal heads and limbs are representative of the viewpoint that animals are a means to an end. 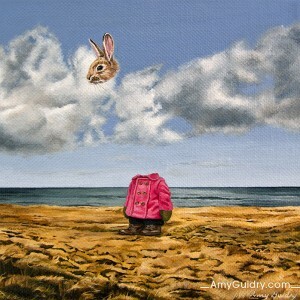 Instead of a jackrabbit, I chose to use a dwarf rabbit, or to some, endearingly known as a “bunny.” The “bunny,” being a popular, cute animal generates sympathy, but even more so when dressed in children’s clothing. Is there a difference between species? Is one more important than another? Why is it that when something is small or cute or childlike, we think more fondly of it? 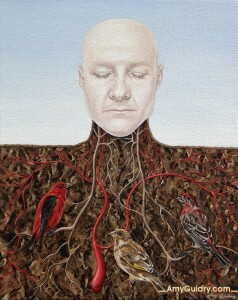 View the painting online here: http://www.amyguidry.com/anthropomorphism.html. I’m excited to announce my work has been selected for the Peaceable Kingdom: Animals, Real and Imagined exhibit at the Bedford Gallery, Lesher Center for the Arts, in Walnut Creek, California. The jurors for the exhibit were Stephanie Cannizzo, Assistant Curator of the Berkeley Art Museum and Cathy Kimball, Executive Director and Chief Curator of the San Jose Institute of Contemporary Art. The exhibit will run from March 3- May 19 with an opening reception on March 3rd from 3-5pm. 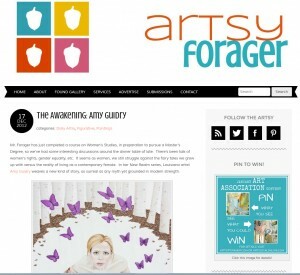 My New Realm series was recently featured on Artsy Forager. 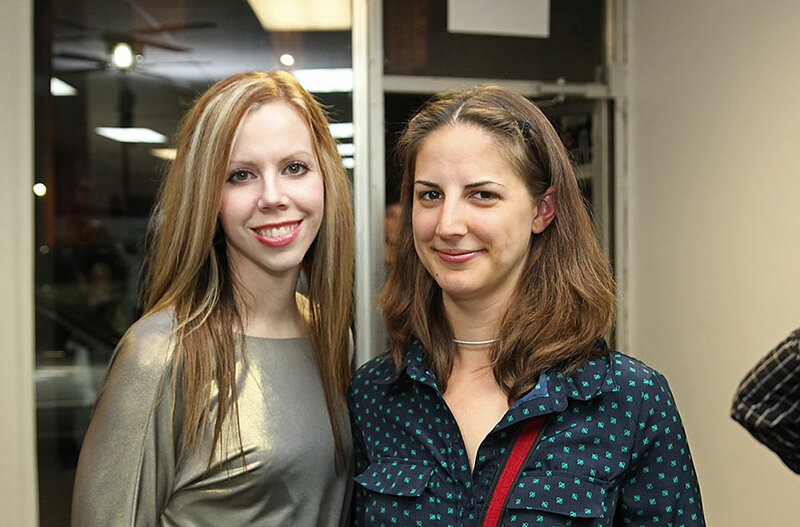 Editor Lesley Frenz writes “…There’s been talk of women’s rights, gender equality, etc. It seems as women, we still struggle against the fairy tales we grow up with versus the reality of living as a contemporary female. 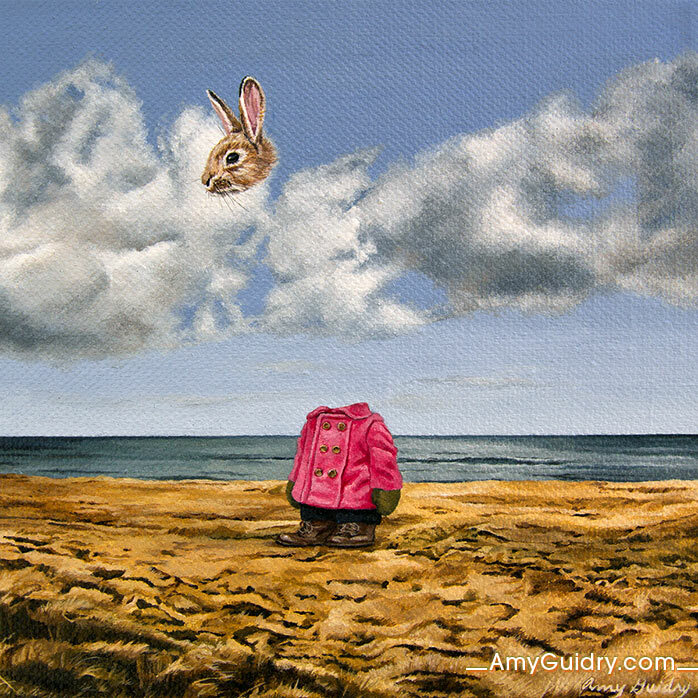 In her New Realm series, Louisiana artist Amy Guidry weaves a new kind of story, as surreal as any myth yet grounded in modern strength.” View online at this direct link: http://artsyforager.com/2012/12/17/amy-guidry/. 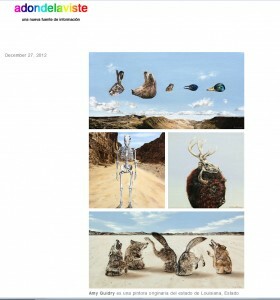 I’m a little behind in posting but my work was recently featured on Adondelaviste. 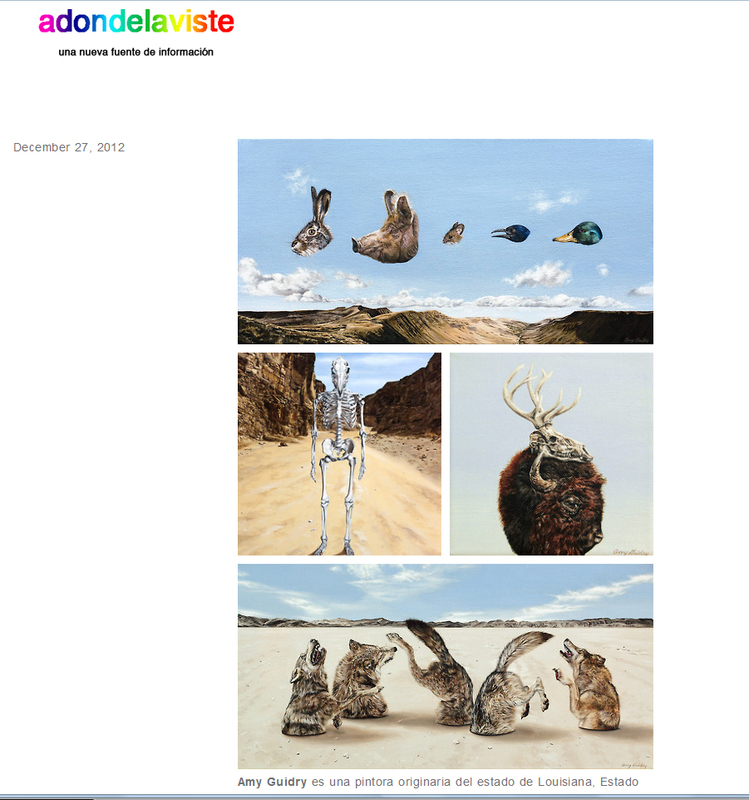 Several paintings from my In Our Veins series are featured and as translated on the page, it states: “Her fascinating work introduces us to a surrealist and eclectic world, where the animal kingdom, nature and men interact in intriguing scenes.” View online at this direct link: http://adondelaviste.tumblr.com/post/38944655117/amy-guidry. 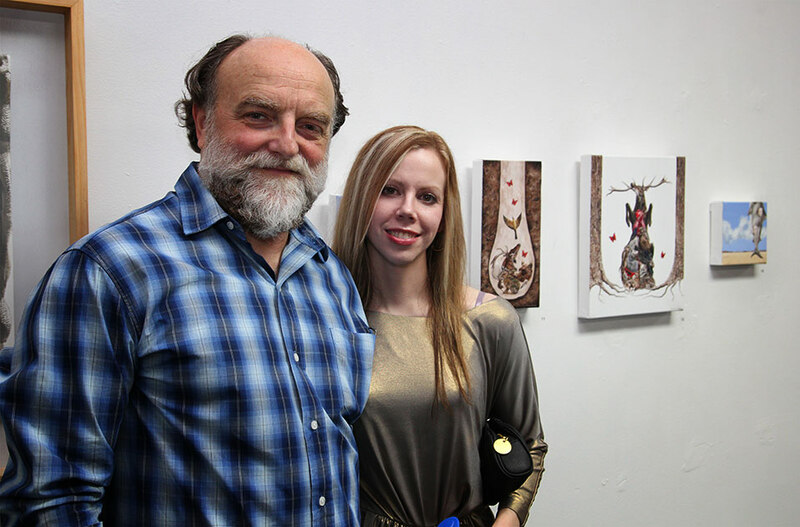 Montclair’s 16th Annual Exhibition ViewPoints 2013. 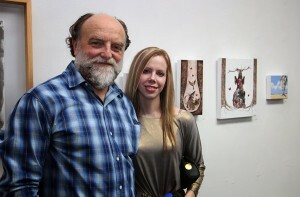 The exhibit will be held at Aljira, a Center for Contemporary Art, in Newark, New Jersey. The juror is Helaine Posner, Senior Curator of Contemporary Art at the Neuberger Museum of Art, SUNY Purchase. The exhibit opens April 10th and will remain up through May 4th. I wanted to share a few photos from opening night a few weeks ago at Gallery 549 in Lafayette, LA. As it turns out, the exhibit has been extended and will be up for this month’s Second Saturday Artwalk on the 12th. These are just a few photos- you can view the entire album here: www.amyguidry.com/events.html. 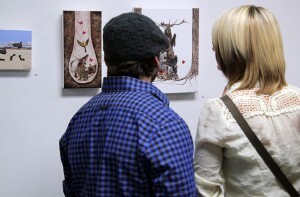 And be sure to check out the show in person at the next Artwalk, January 12th from 6-9pm.